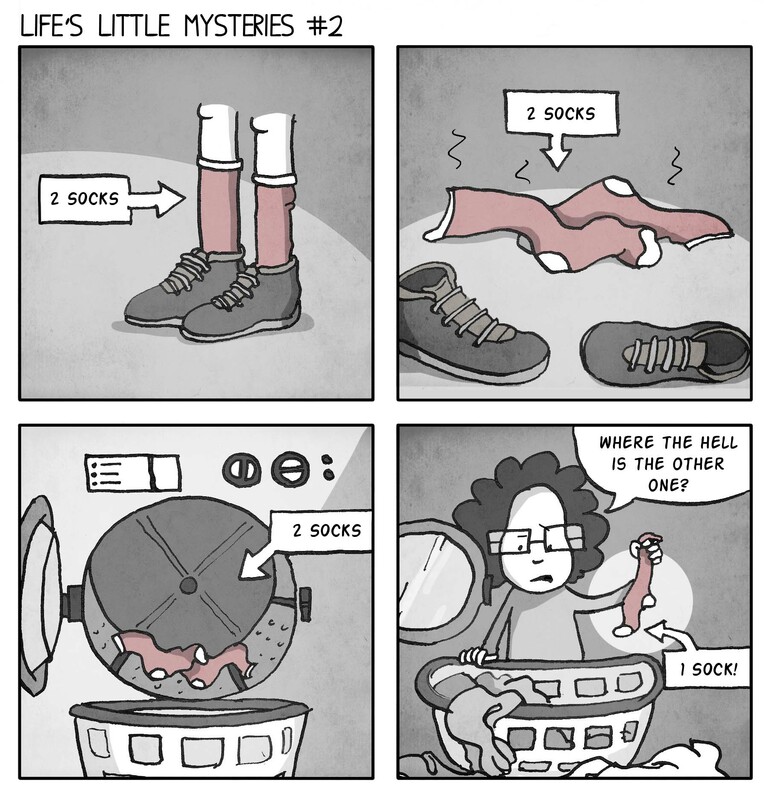 This entry was posted in General, Life and tagged cartoon, clothing, comic, domestic, humor, Mystery, shoes by bighair63. Bookmark the permalink. Many, many years ago there was a lady that lived in someplace like Maine or something, who claimed that every time she opened her dryer, she would find dozens of single, mismatched socks that didn’t belong to her. She began to think that everybody’s missing socks somehow ended up in her dryer. It was actually printed in a magazine, although I cannot recall which one. Ooh, great stuff! A washing machine third dimension or twilight zone…I wonder if my green stripey sock is there?! She could make lots of great sock monsters with the odd ones!